Handover or practical completion is the moment when you get to see your new home or apartment completed with all the finishing touches. Unfortunately just because you’re buying or building a newly constructed property, it does not mean it will be issue free. Builders are under constant pressure to provide competitive pricing and as a result may use lower quality materials or hire staff with fewer or no qualifications to reduce labour costs. This can result in poor construction, defective materials and finishes and low quality workmanship. In some cases, works may not even be up to the minimal required Building Guidelines or Australian Standards. Your final progress payment is generally due at the point of practical completion of your property. If this payment is made prior to a complete and full Handover Defect Inspection and subsequent resolution of issues, it can be far more difficult to convince the builder to return to your property to rectify issues as they already have your money in their pocket.  Before handing over payment a Handover Defect Inspection, otherwise known as a Practical Completion Inspection, can ensure defects are brought to the attention of your builder and rectified before they receive your hard earned money. As one the leading provider of property inspections in Perth we can assist you with this. Our Inspectors are familiar with all relevant Building Guidelines and Australian Standards and are not only Building and Property Inspectors, but also qualified Pest Controllers. This means that not only can they inspect your structural components, exterior structures, electrical, plumbing, fittings and the rest, they can also inspect your termite barrier to ensure it hasn’t been damaged or compromised during the building process. Your builder has a contractual obligation to repair these defects generally within 10-14 working days to allow handover to still occur efficiently. If there are many items to be addressed, this may be extended. Ensure your new home is in the best possible condition, just as it should be, prior to picking up your new keys. We recommend following up with a Builder Warranty Inspection within the first 6 to 12 months of handover to ensure your builder rectifies any issues before your warranty expires.